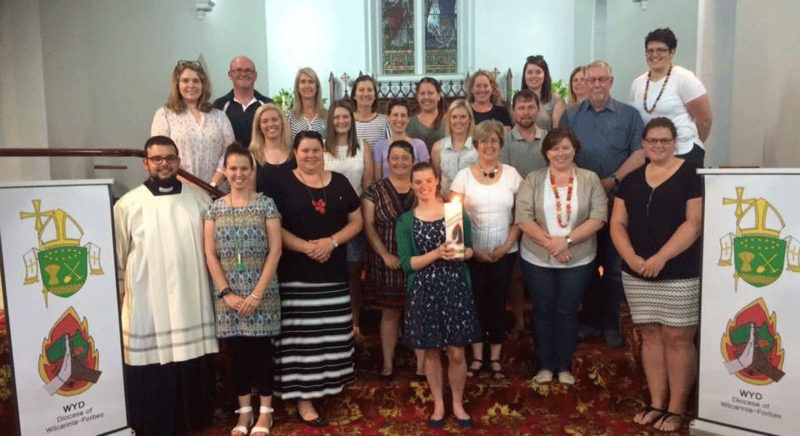 The Australian Network of Diocesan Youth Ministry Coordinators (ANDYMC) was established in 1998 to support and advocate for the specific needs of Diocesan Youth Ministry and those ministering within it. Close to 20 years later the network works throughout the year to share ideas, resources and formation opportunities with its members. Once a year ANDYMC gathers as a community specifically to share our joys and challenges of youth ministry, to collaborate on fresh initiatives and participate in professional development. In 2016 this was no exception with ANDYMC gathering for 4 days in early October in the beautiful host diocese of Maitland-Newcastle. The 4 day gathering included facilitated ministry sharing and debriefing, presentations from the ACBC Office for Youth and a professional development day with international guests Steve Allgeyer and Scott Bagshaw from Life Teen. The days also allowed for shared ministry concerns to be raised and time for collaborative strategies and projects to be devised. 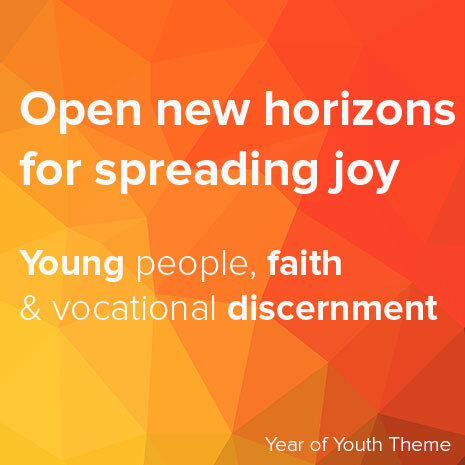 This year special projects were formulated around developing a standardised Diocesan Youth Ministry Role Description, development of a shared event and formation calendar as well as resources and projects specifically related to the upcoming Year of Youth in 2018. To be honest, I really don’t I know why I’m here. What the hell am I doing here? At WYD I mean. I’ve gotta get up early, at 6:00, so I can get my breakfast bag before they all run out. I know we’re gonna spend the whole day walking, occasionally taking some ridiculously packed tram, then walking some more. I’m running out of cash, so at some point I know I gotta get to an ATM. All the people, all 2.5 million of them, are so frenzied, so excited and buzzing! You really have no idea! However, hiding in all the chaotic excitement, are moments of tranquillity. When I can find them, I often step back, and ask myself why am I here? I told a priest of back home I’d be coming here to celebrate the communion of Christ. I told my friends I’d throw myself into the festivities, and meet new people. I told Fr Middleton that I’d come here in order build a closer relationship with God. But, I think I was lying. To be honest, I really don’t I know why I’m here. Now, just if you don’t recognise me, if you’ve ever attended at school mass at Xavier, I’m usually the guy robed in white, kinda standing awkwardly to the side and donging the gong. Now, you’re probably thinking that it’s such a trust that guy went on the church camp. The regular god-loving, bible-preaching, church-going altar serving type of guy right? Well, if you think that, you’re wrong. While my life certainly hasn’t been the hardest, it sure hasn’t been a smooth ride. Stuff happens that kinda throws you off the road, some of you I’m sure know of what I’m talking about. 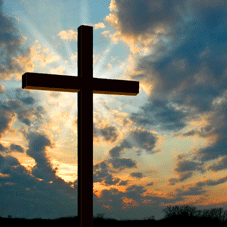 And, when you find yourself trapped in these crucibles of grief, you start losing faith. I’ll never forget standing in a crowd of 2.5 million young people who were shouting “Papa Francesco!” in unison. I’ll never forget the moment Pope Francis asked us all to join hands and build “bridges of peace”. I was overcome by the beauty, emotion and peace that I felt in that moment. And then the Pope looked out at us, a sea of faces in a Polish field, and he told us not to be couch potatoes when we got back home. Wait, so it wasn’t all about this moment? I was feeling rather energised and optimistic as I stood there surrounded by millions of people who were on fire for God. All around me were people radiating this profound sense of peace and joy. I could be joyful, given the right conditions! 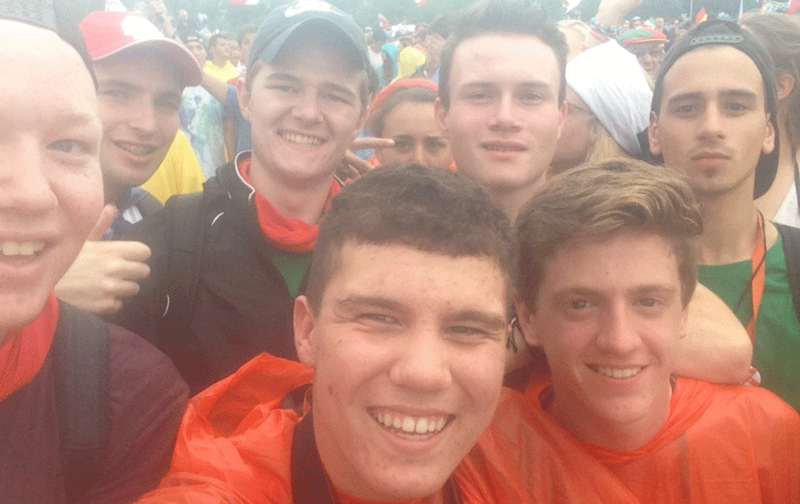 The greatest awakening of my World Youth Day pilgrimage took place when I got back home. Suddenly, I was challenged to grapple with what mercy looks like when life is ordinary again, and what “leaving a mark” looks like when that comfortable sofa is so enticing. The most important part of my pilgrimage was my return. In less than seven weeks, Bishop Columba Macbeth-Green osppe will lead a pilgrimage to Poland with forty young adults from his Diocese of Wilcannia-Forbes. 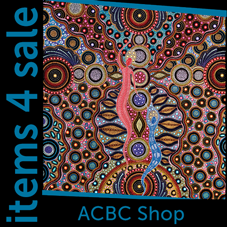 The youth of Wilcannia-Forbes diocese will visit religiously significant sites throughout Poland including the Shrine of Our Lady of Czestochowa, looked after by the Order of Saint Paul of the First Hermit. 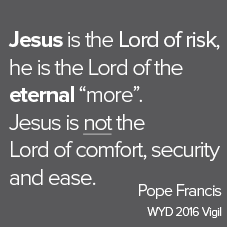 Bishop Macbeth-Green is one of 19 Australian bishops travelling to World Youth Day in Krakow, Poland from 25 – 31 July 2016.